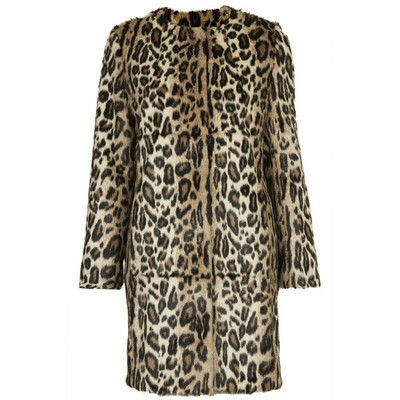 Collarless faux fur coat in all over leopard print with front popper fastenings and side pockets. 100% Modacrylic. Dry clean only. Length 82cm.